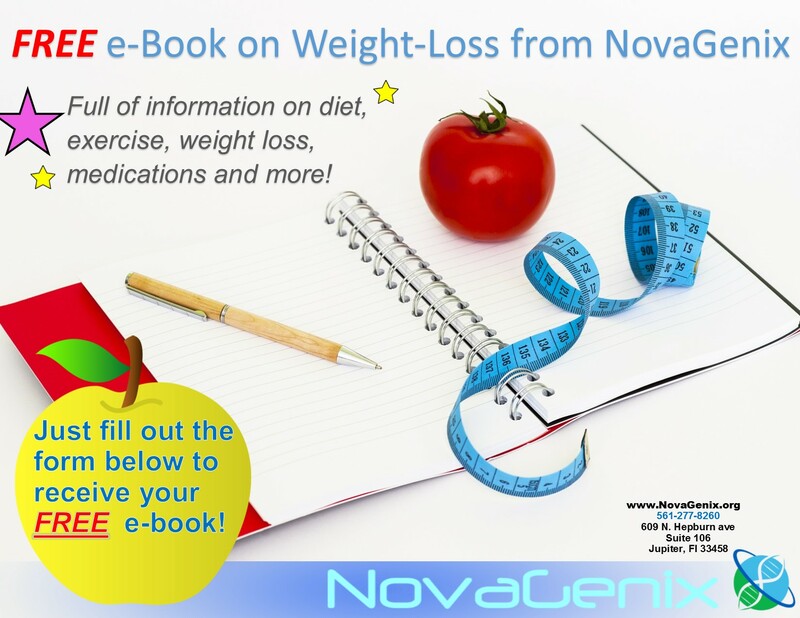 Thanks for joining the list to receive your FREE e-Book from NovaGenix on diet and weight loss. We have helped hundreds of patients reach their weight loss goals and we'd love to add you to the growing list of patients who are well on their way to better health. This book is not meant to diagnose or treat any conditions and you should always speak to a physician before starting any weight loss plan or program. We'd be more than happy to schedule consultation with Dr. Sigman. It's easy. Just call us at 561-277-8260 and we'll schedule a time to sit down and see what we can do to help you out. Please visit us on the web by clicking HERE. You'll be getting an email with our Weight-Loss manual via email so be on the lookout!